Prepare to make a splash in a Polaris RZR on our Beal Slough Adventure. 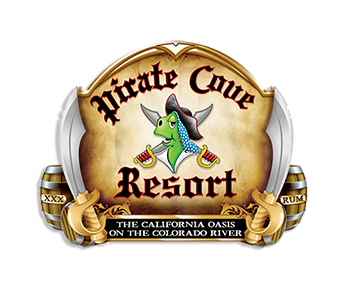 Starting at Pirate Cove Resort, this route will take guests through hidden treasures around every turn including beautiful marina habitats, train trestles, old mines, waterfront beaches and sand dunes. With the Mohave Mountain range in the background and a train track beside the trail, adventure enthusiasts will discover a wide variety of wildlife including coyotes, burrows, geese, hawks, mountain goats and more. Follow the trail as it opens up to sandy washes and allows guests to experience adrenaline-pumping speeds. The secluded beaches on the Beal Slough Adventure create a pristine desert oasis backdrop complete with open sandy beaches, mountains and peninsulas perfect for your unique adventure photo op. Cool off from the heat of the desert as you and your squad splash your way through this two-hour tour of a lifetime. What to Bring: We recommend that guests wear long sleeves and pants. Ice and snack bags are available for purchase at the General Store and Boutique. Ice chests are included with rental.